CELEBRATING "ON STAGE" - OVER 10 MILLION SOLD! FEATURES THE #1 SINGLE "THE WONDER OF YOU" & HITS "POLK SALAD ANNIE" "SWEET CAROLINE" "RUNAWAY" & "PROUD MARY"
In 1970, Elvis delivered one of his most important live albums ever with “On Stage -February 1970.” Showcasing live performances from Las Vegas, “The King” sings an amazing arsenal of tunes from all facets of his career. The Lp would go on to become one of his biggest albums ever, selling over 10 million albums worldwide. For a limited time, we are enhancing your Lp with first time gatefold cover art, as well as a 24” x 24” poster insert. Elvis Aaron Presley was born during the Great Depression into a poor family in Mississippi. The folks at RCA Victor knew that this young fellow named Elvis was destined for superstardom. They quickly signed the legend to a long-term deal, forever etching “The King Of Rock And Roll” trademark to his name. He would eventually become the most successful solo artist of all time! Throughout the late 60’s into the early 70’s, Elvis returned triumphantly to the stage and would go on to perform his hits in front of tens of thousands of Elvis fans every year until his untimely passing in 1977. It's no secret that his shows in Las Vegas were second to none. The whole world wanted to get a glimpse of the genius superstar powerhouse performances and RCA was lucky to be rolling tape in and recorded his On Stage-February 1970 Lp during appearances at the International Hotel. Ever proving that he was always on top of his game, the amazing album featured his number one hit single "The Wonder Of You" as well as a treasure trove of his most important live renditions of Neil Diamond's Sweet Caroline, CCR's Proud Mary and the funk soul vibe of Tony Joe White's classic Polk Salad Annie. The blockbuster 1970 release soon went on to achieve gold and platinum status and become one of his most memorable live albums in his huge arsenal of masterful albums. Thanks to more great hits like his Release Me, his vocal prowess on the rocker See See Rider and of course the soul drenched Beatles classic Yesterday, these live performances of Elvis Presley were just what the fans were screaming for, and the entire album was built around the framework of hit singles at the time and album tracks that spanned his later career. In honor of the Man, the Music, the Legend, the King Of Rock And Roll, Friday Music is very proud and honored to announce the first time limited 180 Gram Audiophile Vinyl release of the RCA Victor classic On Stage - February 1970 by Elvis Presley. As another installment in our exciting Elvis Presley/Friday Music 180 Gram Audiophile Vinyl Series, we are pleased to present this masterwork in all its stereophonic glory. Mastered impeccably by Joe Reagoso at Friday Music Studios and manufactured for a very limited time at R.T.I. on first time black and blue swirl vinyl, Elvis Presley's On Stage - February 1970 will be a much anticipated audiophile dream release for Elvis fans everywhere! We are also including first time gatefold artwork presentation including the original 1970 artwork elements and a super rare 24 " x 24" poster, truly enhancing your Elvis Presley listening hours. As usual, we are also enclosing a poly bag to protect your album cover and poly sleeve to help keep your Elvis vinyl in mint shape. 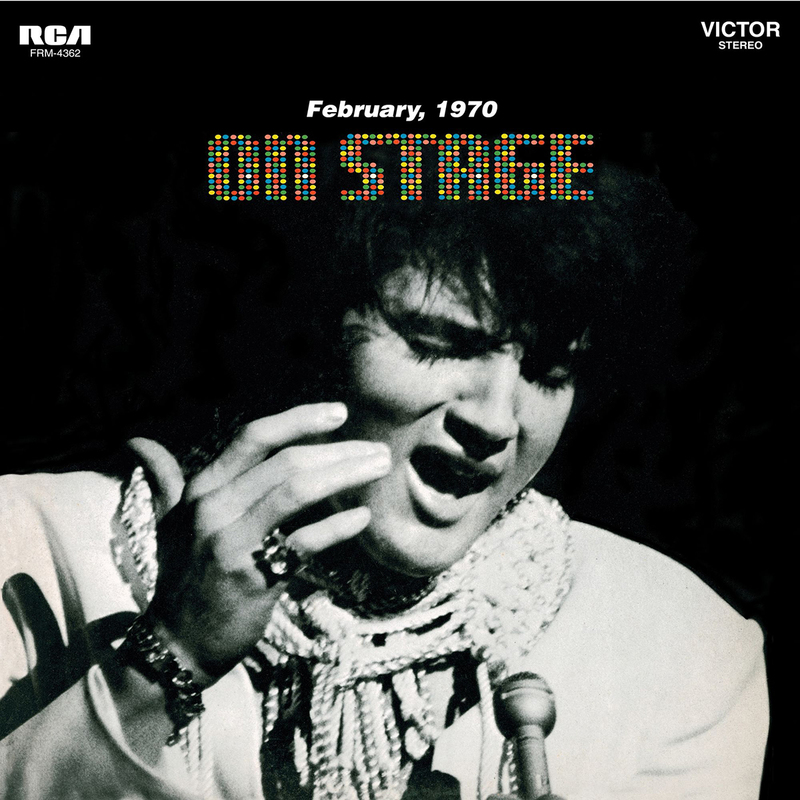 Elvis Presley's On Stage - February 1970 …A history making rock album from an historic legend, an audiophile dream release……from your friends at Friday Music.